Hey guys! I’m still in North Carolina and I can’t wait to tell you all about my trip! In the meantime, I have to answer the question, What the Freekeh?!? Everyone knows what quinoa is because its healthy and extremely versatile. Its grown to be popular over the last few years and is a staple in my kitchen. Have you, however, heard of Freekeh? 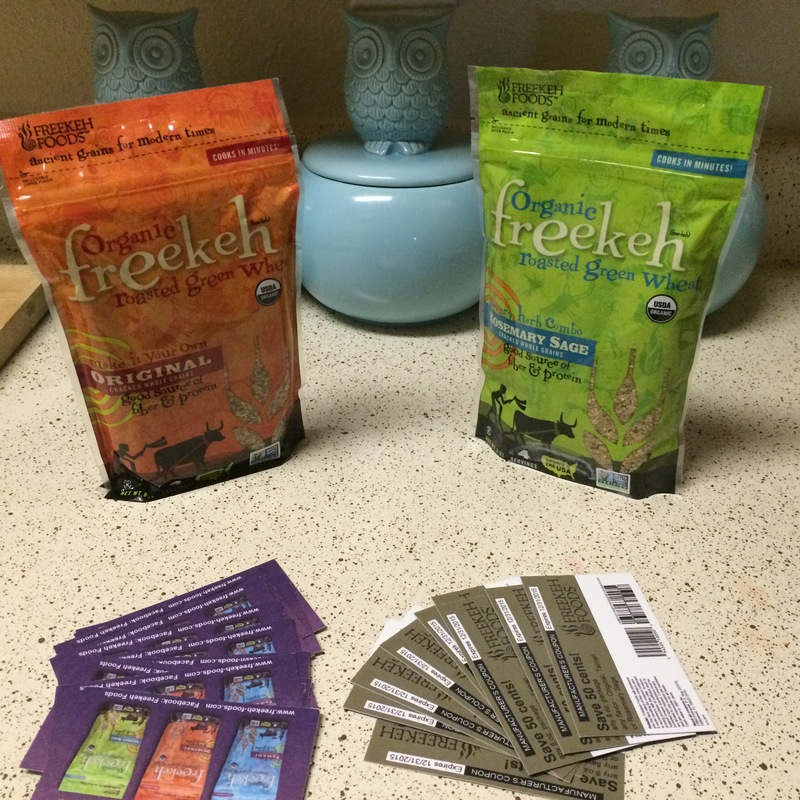 I partnered with Freekeh Foods and was given a few bags to sample. I was surprised by the nutritious value in these ancient grains and couldn’t wait to cook up something tasty with them! 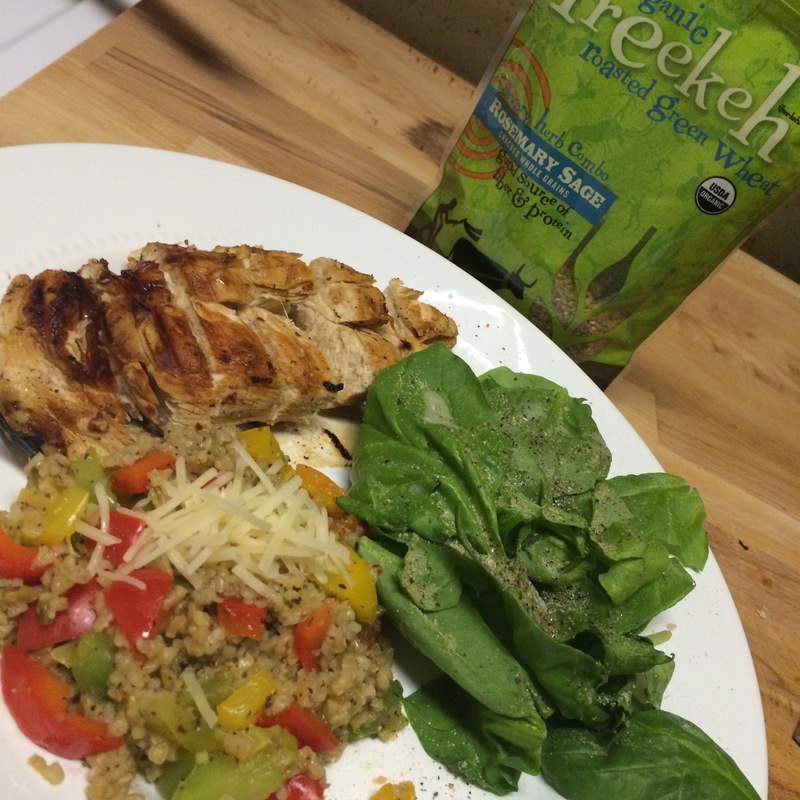 While, unlike quinoa, freekeh is not gluten free, it does have more fiber and protein! It is also packed full of zinc, iron, and calcium! As though that’s not enough to get me excited about it, it also tastes delicious! Freekeh Foods has 3 different flavors available: Original, Rosemary Sage, and Tamari! I tried the Original and the Rosemary Sage! They have recipes on their webpage that look delicious, but one night I whipped up a tasty side dish with the freekeh! I mixed the rosemary sage flavored freekeh, green peppers, red peppers, yellow peppers, and onions to make a healthy side dish. Then I topped it with a little grated parmesan. It was super tasty and went well with a side of spinach and chicken breast! Disclaimer: This is a sponsored post where I received free products from Freekeh Foods in exchange for a blog post however all views and opinions are my own. The Sum Up: What up, Shreveport? Looks interesting! I’ve never heard of this grain before! I think I will try it out.